Coconut is known as the “tree of life” as it has a wide range of health benefits, which include skin care, hair care, improving digestion and immunity against a host of infections and diseases. People has discovered the wonders of oil extracted from coconut and it is gaining popularity throughout the whole world. 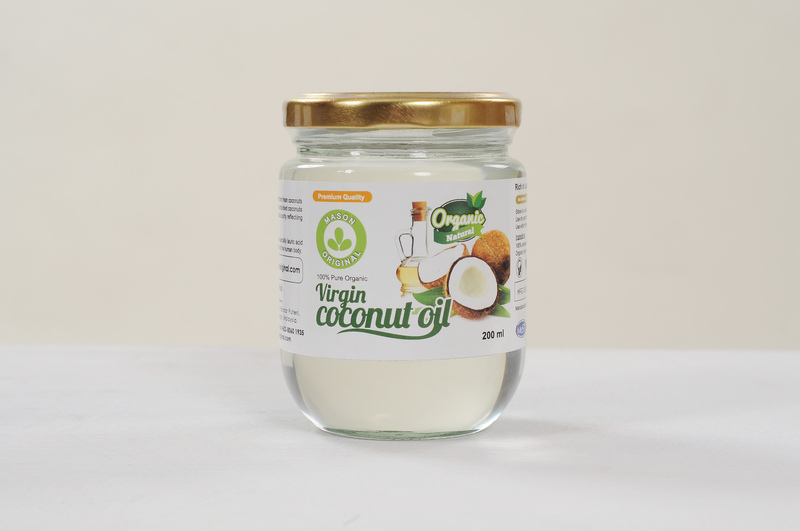 Virgin coconut oil is a stable, healthy, naturally saturated fat that is free from trans-fatty acids. It contains medium-chain fatty acids, including lauric acid, caprylic acid and capric acid which are readily converted to energy by the body. Consumption of coconut oil at recommended levels, along with a healthy diet and lifestyle, helps maintain already healthy levels of cholesterol. Mason Original virgin coconut oil is extracted from coconuts sourced from certified plantations. The handpicked coconuts are cold pressed and filtered to maintain its nutrient and purity, reflecting the exotic rich taste and fragrance of coconut. Its high content of short and medium chain fatty acids especially lauric acid makes it uniques in helping to preserve the natural immunity of the human body.